The UK could look forward to a rise in visitors from China this week as the country’s Golden Week holiday gets under way. Golden Week is a prime time of travel for the Chinese and more are choosing to visit the UK than ever before. Latest statistics show there were a record number of visits from China to the UK in the first quarter of 2018. From January to March this year there were 68,000 visits from China, up 24 per cent on the same period last year, with visitors spending a record £96 million, an increase of four per cent. Latest flight booking data from ForwardKeys shows that flight bookings from China to the UK for September 2018 to February 2019 are tracking five per cent up on the same period a year ago. VisitBritain director Patricia Yates said that China, the world’s most valuable outbound market, was a huge tourism opportunity for Britain. She said: “We want the UK to be top of the list for Chinese travellers, building on the strong growth we have seen and delivering a world-class visitor experience through increasing route connectivity and airline seat-capacity. “Working with partners such as Ctrip we are also converting the aspiration to visit the UK into bookings and inspiring more visitors from China to book a trip right now. China moved into the UK’s top 10 most valuable inbound visitor markets last year with visits reaching a record-breaking 337,000, up 29% on 2016, and spending up 35% to a record £694 million. Visitors from China spent, on average, £2,059 per visit in Britain in 2017, more than three times the all-market average. They also stayed longer – holidaymakers from China staying an average of 11 nights compared to the all-market average of six – and travelled more widely across the UK than other visitors. Shopping is the most popular activity in the UK for visitors from China followed by dining in restaurants, visiting parks or gardens, and museums or galleries. More than a third of Chinese visitors would shop in high-end department stores, outlets and luxury stores on a visit to the UK. Chinese visitors are almost three times as likely to buy bags and purses in the UK than the average visitor and twice as likely to buy personal accessories. For every 22 visits from China, one job is created in the UK’s tourism industry. 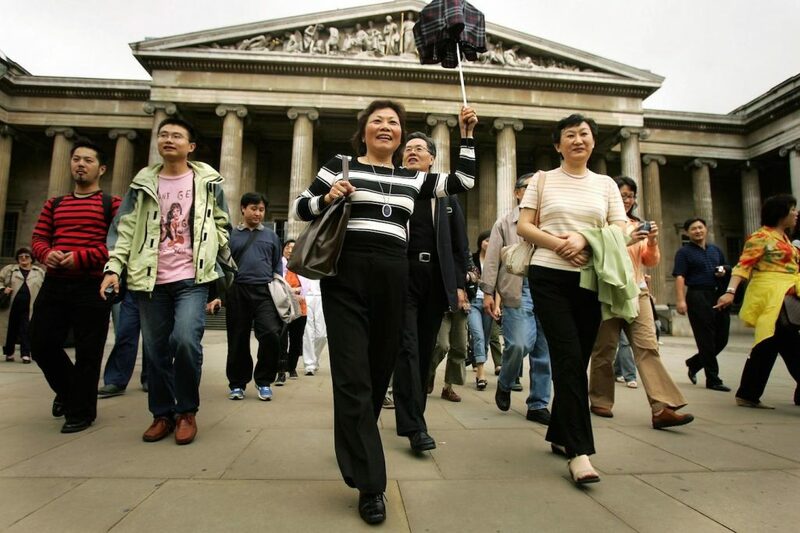 VisitBritain’s ambition is to grow spend from Chinese visitors to £1 billion annually by 2020.